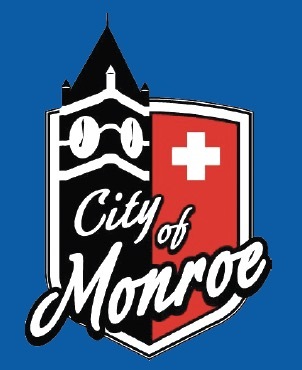 The Swiss heritage of Monroe, Wis., is unmistakably emblazoned on its city seal. Half of the seal depicts the town’s clock tower, a fixture in many Swiss communities; the other half depicts the flag of Switzerland. The 120-foot tower rises above the Green County Courthouse, built in 1891, the architectural centerpiece of Monroe’s traditional historic town square. Monroe, the county seat and largest community in Green County, was first settled in the mid-1830s aft er the discovery of lead in the region. By the 1860s, Swiss immigrants brought their expertise in dairying to initiate a cheese making industry that has remained the area’s commercial mainstay to this day. Billing itself as the “Swiss Cheese Capital of the World,” the city of 10,827 hosted its first Cheese Days in 1914, an annual event drawing more than 100,000 visitors. More than a ton of Swiss cheese is used to make cheese sandwiches during the three-day festival. The festival highlights Swiss traditions such as yodeling, alphorns and Swiss heritage music at the city’s main stage and offers Swiss folk art, cuisine and delicacies, including cheesecake on a stick. This year’s Cheese Days will be held Friday, Sept. 14, through Sunday, Sept. 16. In its heyday a century ago, Monroe and its surrounding area boasted more than 300 cheese makers, many of them small rural enterprises dotting the landscape. Consolidation eventually reduced that number to a couple dozen large factories, which annually produce hundreds of millions of pounds of cheese in more than 200 varieties. Some of the cheese factories have been in continuous operation for more than a century. The National Historic Cheesemaking Center, located at 2108 Sixth Ave., conducts tours and maintains a one-of-a-kind interview video library showcasing individuals instrumental to the growth of the area’s cheese making industry. In 2010 the center completely restored the Imobersteg farmstead cheese factory, a family operation begun in the late 1800s. Alfred and Anna Imobersteg, who emigrated from Switzerland in 1890, operated the factory until 1917 when they switched to transporting their milk to the Pet Milk Condensery to provide canned milk for soldiers during World War I. On the second Saturday of June each year, the center makes a 90-pound wheel of Swiss cheese, using the original refurbished equipment from the factory. Visitors can witness the entire process.